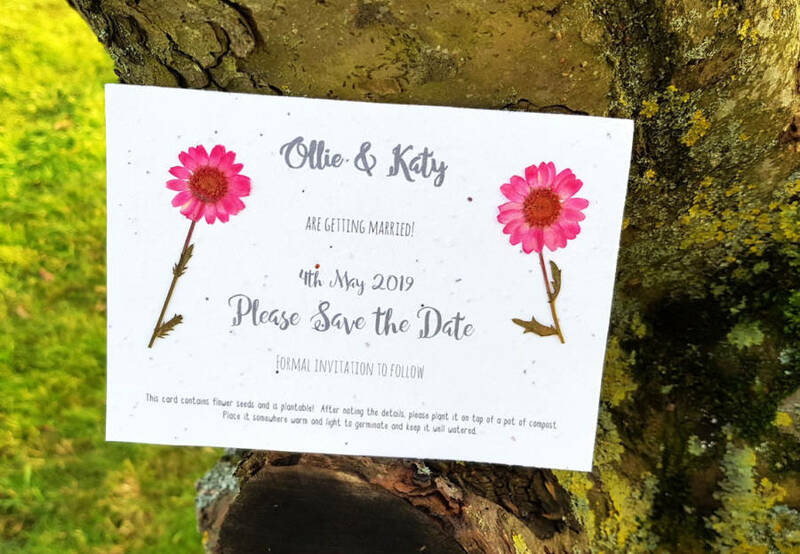 Tags: save the date, seed paper. 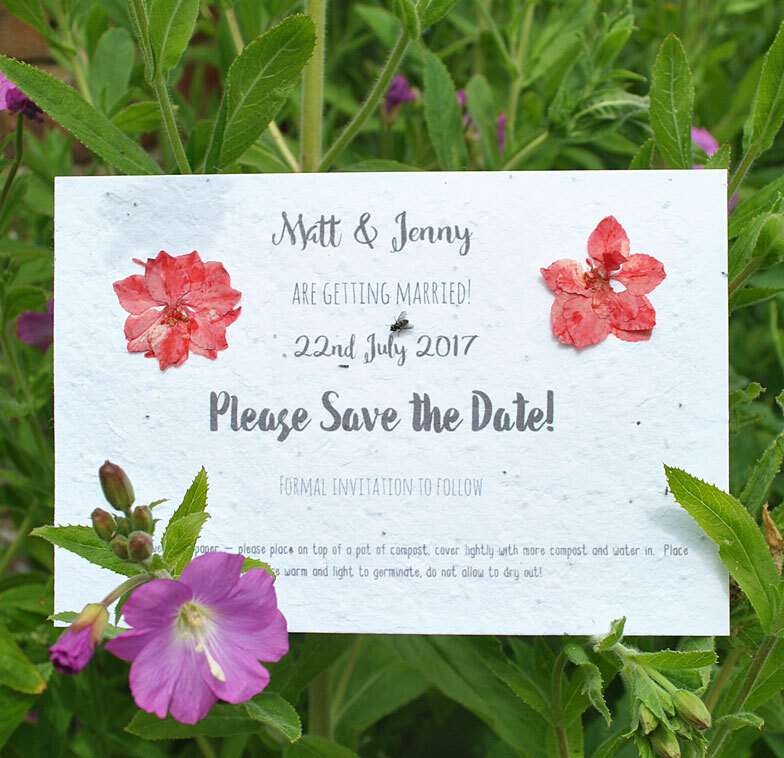 We love this plantable seed paper Save the Date card! Even better, there are real pressed flowers on it to make it even prettier! The pressed flowers will be chosen from what is available at the time of ordering so probably won’t be the same as those in the photo. 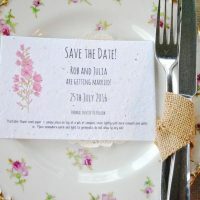 This Save the Date is printed on A6 seeded paper – please advise text in the box above or via email after. You can also change the font if you wish – just be sure to tell us what you would like! 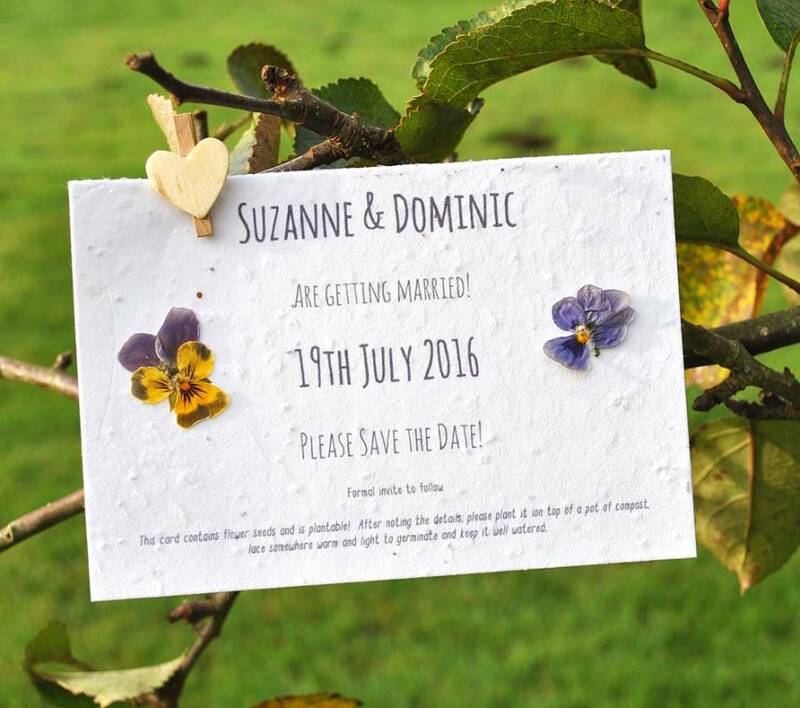 The seed paper is made from thick recycled cotton paper (about 150 gsm) embedded with various flower seeds. 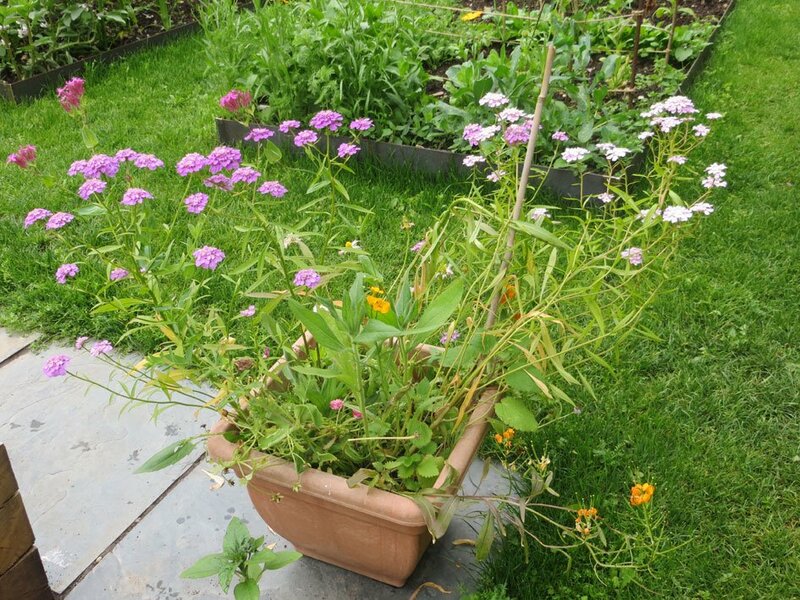 These seeds include: Catchfly, Daisy, Poppy, Sweet Alyssum, Spurred Snapdragon and Black-eyed Susan. The paper is made in the UK. 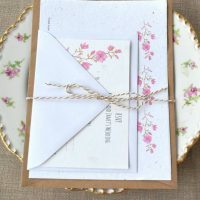 Planting instructions are included at the bottom of the card, and a recycled envelope is also included. We have shown above a photo of the paper germinating. 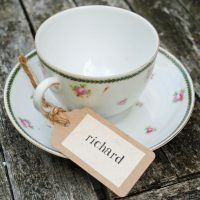 We have other matching products in this range – Seed Paper Invite Set and seed packet wedding favour.